Links to all of the poetry and songs included on the Institute of Australian Culture site, up to 31 November 2015. See also: Poetry and songs, 1901-1954. 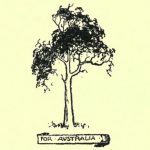 These poems and songs are either written in Australia, by Australians, or regarding Australia. The list includes two works which were created with no direct relationship to Australia, but which have been included as they are an iconic part of Australia’s military traditions: “The Ode of Remembrance” (1914) and “In Flanders’ Fields” (1916). This list is arranged in chronological order. Poems included within books on the site are not listed individually; instead, a link is given to the individual books, each of which has its own contents list. Books and booklets are marked with an asterisk *. Poetry included within a longer item, such as within articles, newspaper columns, and reviews, are marked with a hash #. Note: Contains elements later used in the popular song “Botany Bay”. Year unknown. Note: The popular song of the same name, “Botany Bay”, is included in this list with the entries for the year 1885. Also known as “Henry’s Downfall”; originally printed as a broadside ballad. Year unknown. Two early poems. No authorship is given, although the first poem is signed “S”. The second poem includes an early usage of the word “Australasia”. This 1813 poem contains a rare early usage in print of the word “Australia” (see the 4th line), especially as applied to the discovered continent (i.e. as distinct from any early references to a theoretical southern land mass); this pre-dates Matthew Flinder’s recommendation of the word “Australia” in his A Voyage to Terra Australis (published July 1814); although the word “Australia” had been used in some other publications prior to 1813. A song, written by a Mr. Jenkins, sung at a function in 1817 to celebrate the founding of the colony of New South Wales. A song written for the anniversary of the founding of the colony of New South Wales. # An article about an “Australia Day” celebration, including a song by Michael Massey Robinson, which was elsewhere published under the title of “Song, for the Commemoration Dinner, 1825”. A republication of a song which was originally published in Aurora Australis; or Specimens of Sacred Poetry, for the Colonists of Australia (1826) by John Dunmore Lang. This song from 1827 was written to the tune of “Patrick’s Day” for the anniversary of the founding of New South Wales, later to be known as Australia Day. Also published in Banjo Paterson’s collection, The Old Bush Songs (1905), with minor variations. This poem was later re-written as A Dream (1867). A poetic advertisement, encouraging the public to buy baskets to carry their food and drinks to the opening of the Sydney and Parramatta Railway. Also published in Banjo Paterson’s collection, The Old Bush Songs (1905), under the title of “Dwell not with me”, with some variations. A poem by an anonymous author, regarding the Burke and Wills expedition, published as a booklet. Also published in Banjo Paterson’s collection, The Old Bush Songs (1905), under the title of “The Australian Stockman”, with minor variations. A poem by Charles Harpur, published as a booklet. A poem by Henry Kendall, published as a booklet. A poem published in Geoffry Crabthorn’s column “Echoes from the bush” in the South Australian Register. Also published in Banjo Paterson’s collection, The Old Bush Songs (1905), with some variations. A song of humourous intent, directed against the idea of women being given the right to vote. Also published in Banjo Paterson’s collection, The Old Bush Songs (1905), under the title of “The Broken-Down Squatter”, with some variations. The text of the song from the stage show “Little Jack Sheppard”, which played in London in 1885, and in Melbourne in 1886, and which went on to become a popular song in Australia. An encouragement to advertising, based upon the old poem “The Man in Our Town”. A traditional song, from at least the 1890s; the earliest known published version is The Bare Belled Ewe (1891). One of Henry Lawson’s most well-known poems, published in The Worker in 1891. It was quoted by conservative Queensland parliamentarians as an example of the radicalism of The Worker newspaper. Printed in the “Flotsam and Jetsam” column of The Queenslander (4 August 1894). Two different versions of the same song were printed on the same page; this is the version supplied by G. Doyle, which uses the phrase “stalwart young stockman” (the other version, supplied by F. Harrison, uses the phrase “strapping young stockman”). This song was also published in Banjo Paterson’s collection, The Old Bush Songs (1905), with some variations. Printed in the “Flotsam and Jetsam” column of The Queenslander (4 August 1894). Two different versions of the same song were printed on the same page; this is the version supplied by F. Harrison, which uses the phrase “strapping young stockman” (the other version, supplied by G. Doyle, uses the phrase “stalwart young stockman”). This song was also published in Banjo Paterson’s collection, The Old Bush Songs (1905), with some variations. Also published in Banjo Paterson’s collection, The Old Bush Songs (1905), under the title of “The Bushman”, with some variations. 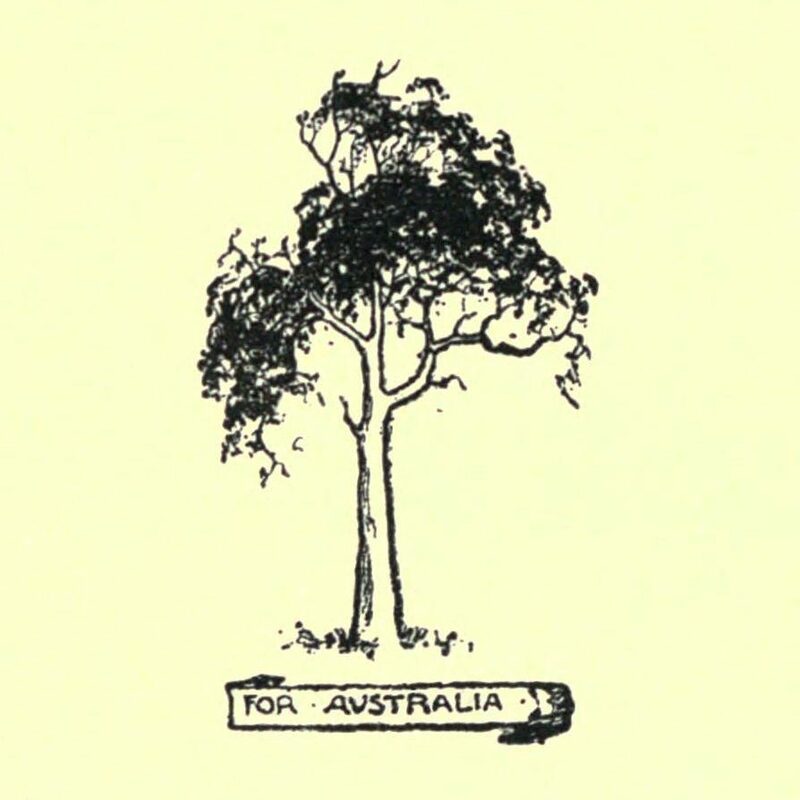 Also published in Banjo Paterson’s collection, The Old Bush Songs (1905). A song for the cricket matches played between England and Australia. Also published as “Love’s Golden Hour”. A poem with an internationalist flavour. This is an anonymously-authored bawdy rhyme, apparently from the early 1900s (or possibly the late 1890s); it was obviously based upon Henry Lawson’s poem “The Captain of the Push” (published 1892). Year unknown. I have 23 sequential poems based on the women of the First Fleet. Spanning The Enclosure Act in England through to the first xmas in the colony under Phillip. The poems are all rhyming couplets and could be used as song lyrics. I don`t know where to go to have them appraised. Could you suggest something / someone ?